I know some of these are a no brainer, but I think in my years of hunting I managed to leave home without every one of these items. Shotgun and shells – we really like the Heavy Shot products. Great knockdown power and range and legal everywhere. Try Heavy Metal on your next hunt (www.hevishot.com). Your license and tags – this especially applies to fishing trips! Waterproof boots – nothing is more uncomfortable than wet feet. Sharp knife and plastic bags for skinning your game and clean storage. Try a Z-Blade disposable scalpel for super easy skinning an capping of your turkey (www.pfimold.com/z-blade.html). Don’t forget an ice chest either. A camera – cell phones do a great job of satisfying this item, but a good camera is hard to beat. Water and trail snacks sufficient for all day and maybe some emergency supplies. 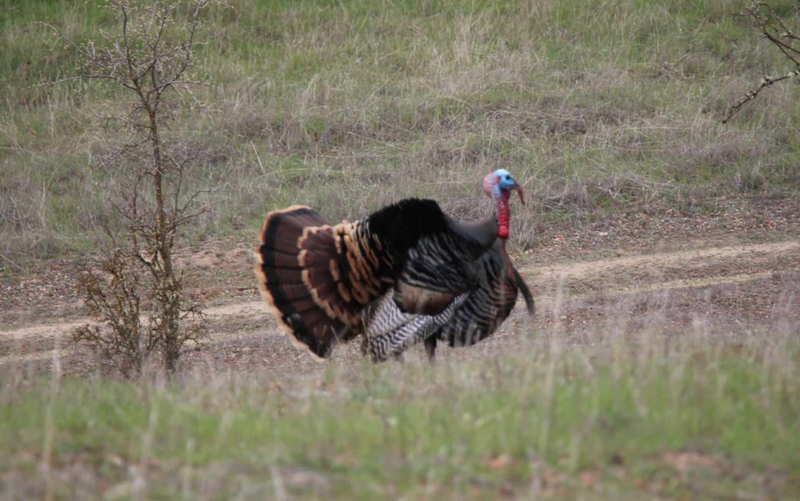 Bug repellant – turkeys love bugs and you’ll find them together. Nothing ruins a hunt faster than a pesky mosquito or ants making you move. A water proof turkey call – mouth diaphragms are great, but if you can’t blow one then use a glass pot call with an acrylic striker or a box call in a bread bag or similar plastic bag. 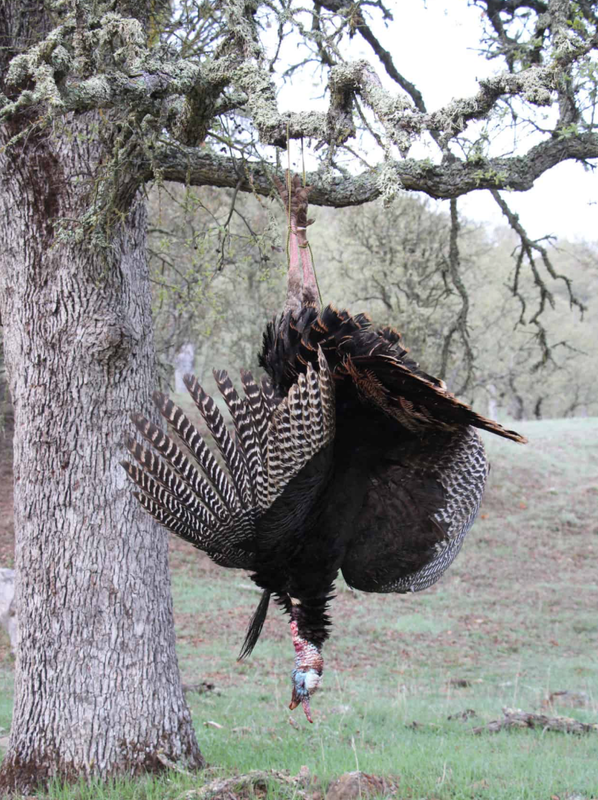 (An old tip from Master turkey caller Ben Lee). A flashlight or headlamp – bicycle type headlamps free up your hands for stability when walking and tasks like skinning game. Finally – let’s not get lost out there – a good map of the area gives you the big picture, a GPS and/or cell phone can help you get home if you have service. Over the new few weeks you will learn to make a delicious wing bone soup and build a great wing bone turkey call. Question – are all the birds in the picture all legal for spring harvest? Answer to follow after our monthly meeting June 3rd at the Atascadero Elks Lodge, 6pm. Click on the images to enlarge.